This guide is consists of configuration for the people who work at home. In this article, we introduce how to setup certain Access Policy (4-2). 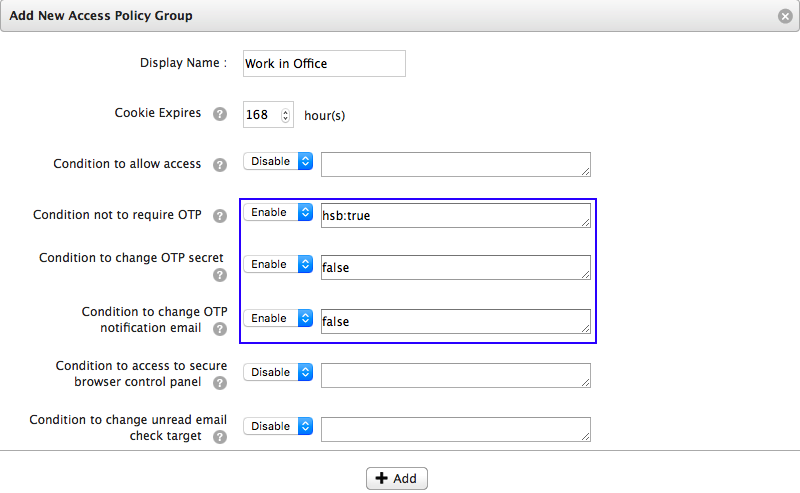 In the "Access Policy Groups" interface, create access policy group as below. - Global ip address (123.123.123.123) is the example of corporate network. - It allow to gain access to the services from HSB using OTP.